This was taken at McGillvray Falls in southeastern Manitoba, Canada. I liked the separate little waterfall beside the bigger one. No, it's not a typo, I simply named this one "S" due to the curve of snow in the foreground. 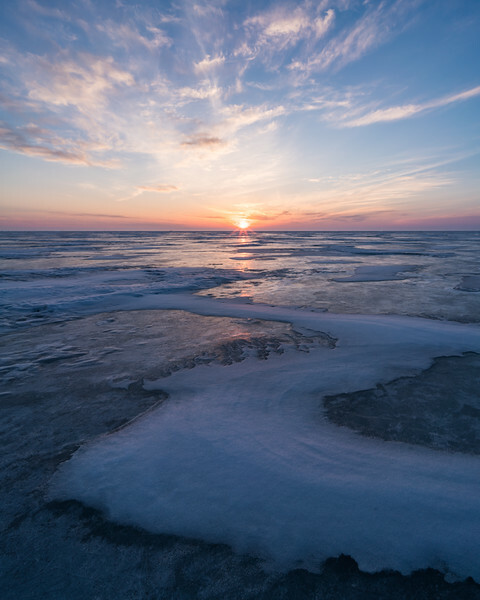 I went to Lake Winnipeg, Canada to get some photos of the ice shapes and patterns that occur during the spring thaw. But, as you can see, I was too early and the lake was still completely frozen. 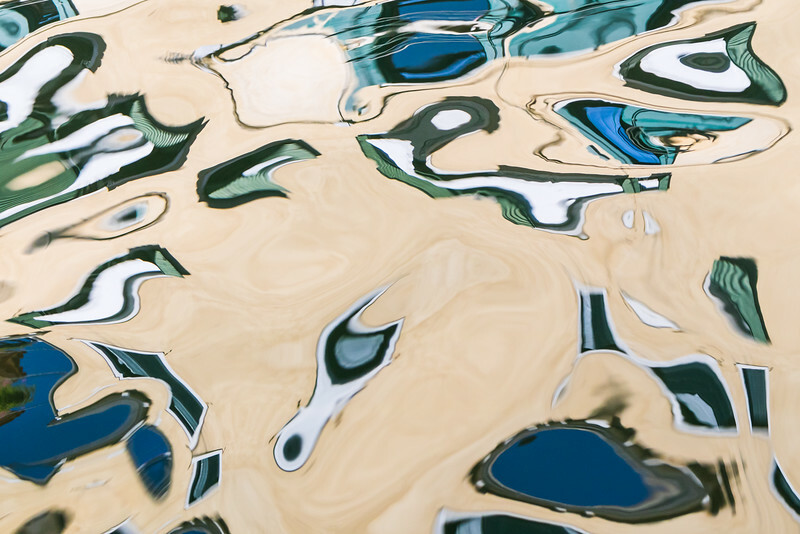 I decided to stay and look for something interesting to photograph. I was able to use an ultra wide angle lens and a low viewing angle to add some interest in the foreground; and the nice sunset definitely helped. This is one of the islands off of the main islands in Venice, Italy called Giudecca. 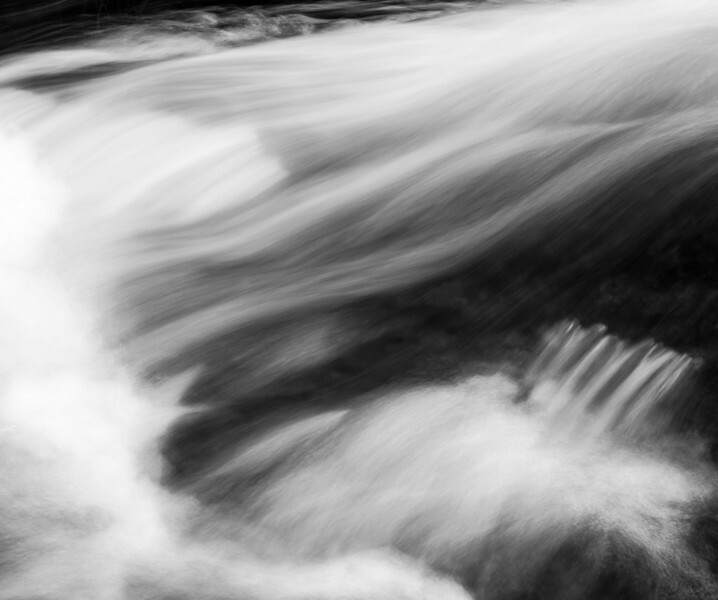 I added a neutral density filter to slow the exposure down and smooth out the water. This is a multi-image panorama of a simple scene of clouds over a field in southern Saskatchewan. These open horizons of the prairies ("big skies" they are sometimes called) are amazing and it's a very peaceful place to be. 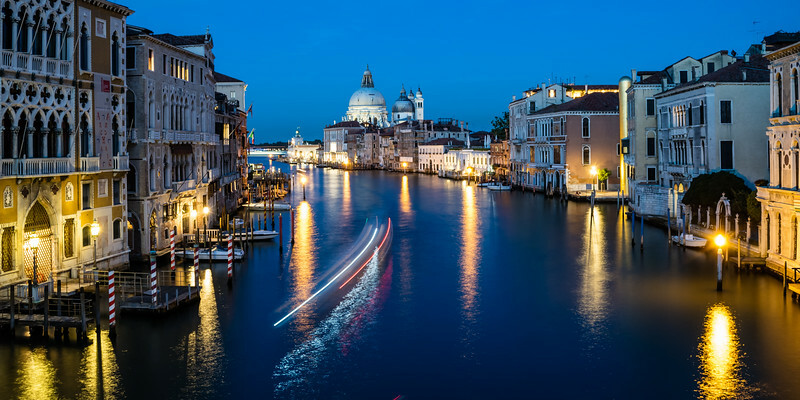 This is the famous view from the Ponte dell'Accademia in Venice, Italy. It's nice to come here after dinner while the light is fading and watch the boats slowly going about their business or heading home for the night. 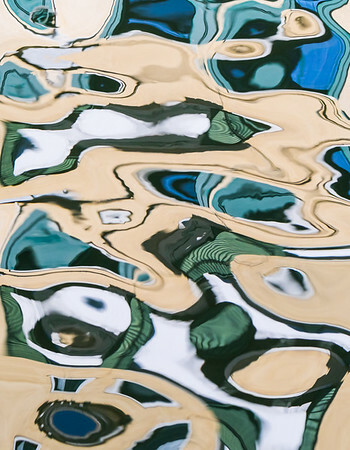 This is a shot of some buildings reflected in a canal in Venice, Italy. 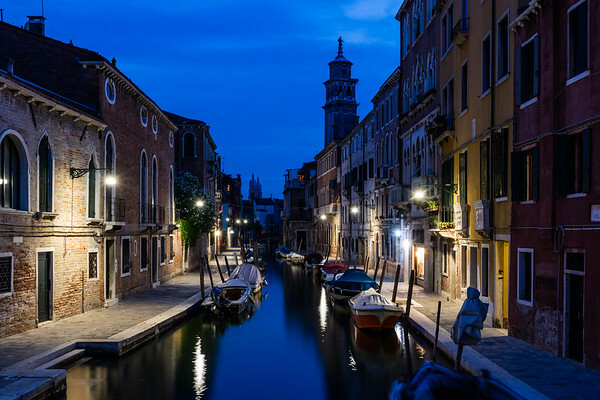 This is a "blue hour" shot at one of my favourite viewpoints that I found while wandering around Venice, Italy. Luckily my hotel was fairly close, so I could try getting some nice photos here over the course of a few nights. I've also posted a sunset photo of the same view in this gallery. 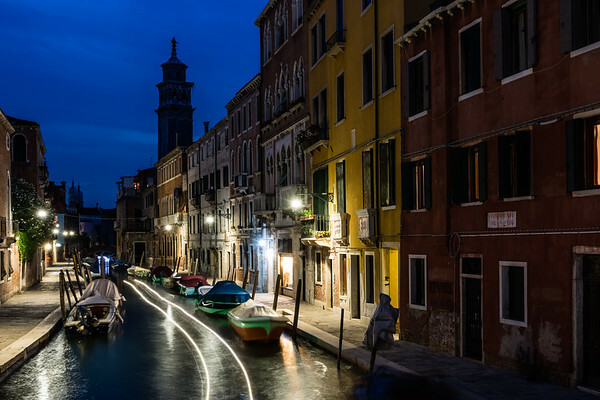 One of the last boats going home for the day in Venice, Italy. I took a few shots from this bridge at different times throughout the evening but wasn't lucky enough to have a boat go by. I was happy to see a boat approaching prior to this shot and timed it with one of my long exposures. 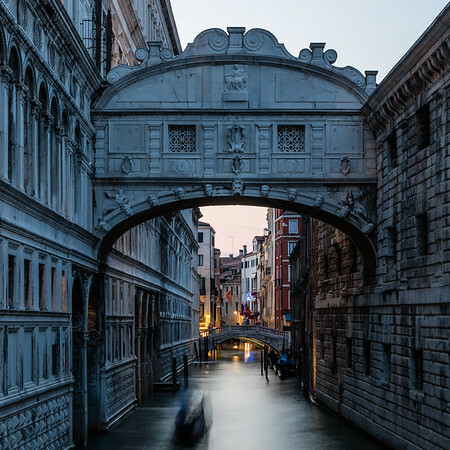 This is the Bridge of Sighs in Venice, Italy. On the left side is courthouse (basically) and on the right side is the jail. Prisoners would get their last look at Venice through the bridge windows and sigh. 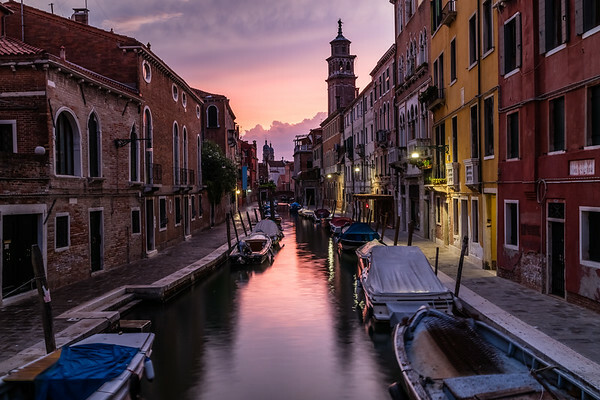 Sunset at one of my favourite viewpoints that I found while wandering around Venice, Italy. Luckily my hotel was fairly close, so I could try getting some nice photos here over the course of a few nights. 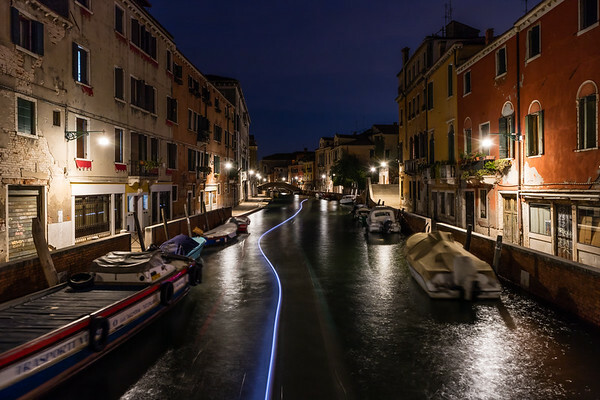 This is a long exposure of a boat travelling down a canal in Venice, Italy. 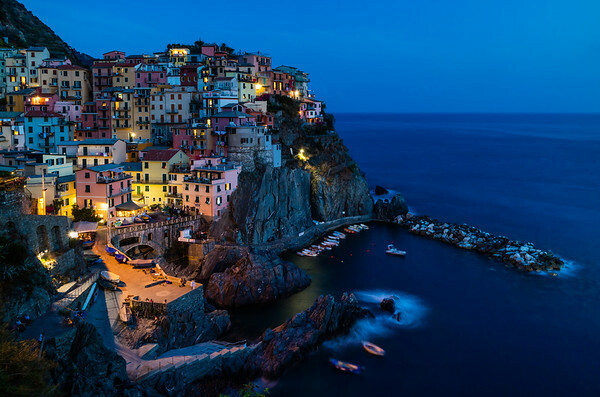 This is Manarola, one of the five villages of Cinque Terre in Italy. We stayed in this village and I would highly recommend it, but be ready for some stairs. This is the area/province that invented pesto and foccacia bread, and they make their own white wine in the village which, not surprisingly, pairs perfectly with pesto (and seafood). I came upon this courtyard by accident, while making my way to the Pantheon from the subway station. 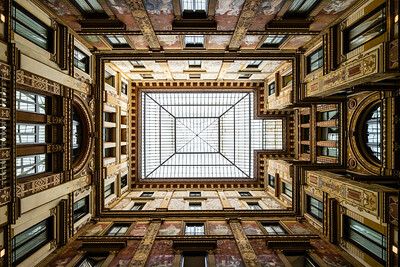 It's called the Palazzo Sciarra Galleria. I knew right away that I wanted to make a symmetrical photo looking straight up. This is a multi-shot panorama of the sun's last rays lighting up the small village of Corniglia, in the Cinque Terre region of Italy. This ended up being our favourite of the five villages; it's very small but it has a lot of charm. Avoid the long walk of stairs to get to the top of the cliff and take the small bus instead. Side note: There's a gelati shop here that has a basil flavour on offer. 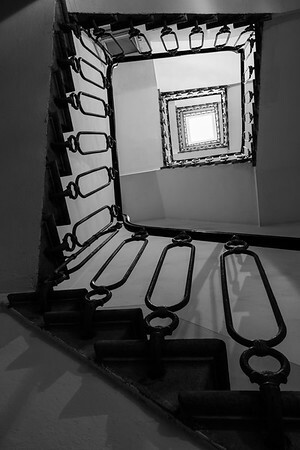 These were the stairs we took up to our hotel each day while in Florence, Italy. 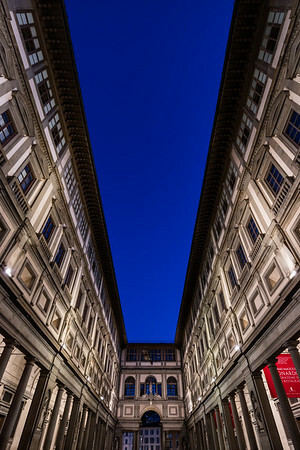 This is the courtyard at the Uffizi Gallery in Florence, Italy during the "blue hour". The red banner on the right side is promoting a Leonardo da Vinci exhibit that was on at the time. 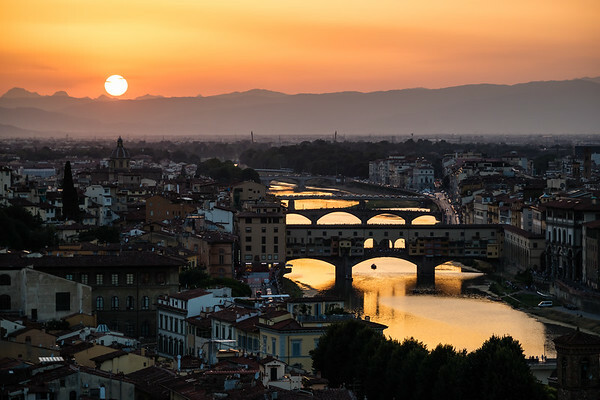 A view of the setting sun lighting up the Arno River with orange light in Florence, Italy. This was taken from Piazalle Michelangelo, and if you're in Florence it's worth making an effort to get to this viewpoint over the city. 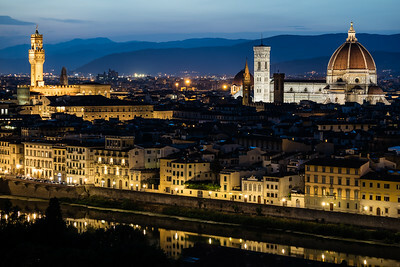 The Medici palace and Duomo at dusk in Florence, Italy. Shot from Piazalle Michelangelo; if you're in Florence it's worth making an effort to get to this viewpoint over the city. Florence, Italy from Piazalle Michalangelo at dusk. If you're in Florence it's worth making an effort to get to this viewpoint over the city. A high megapixel stitched panorama and one of my favourite shots of the trip.